Across the state, fewer than half of Washington youths in foster care graduate from high school on time. Graduation rates for foster kids have inched upwards in the past few years, but they remain the lowest of all students, even compared to homeless children. Statewide, 77 percent of high school students graduated in 2014, but just 41 percent of foster youth received diplomas. On any given day, 9,000 to 10,000 children are in foster care in Washington. There's a lot working against these kids, says Jess Lewis, foster care programs supervisor in the Office of Superintendent of Public Instruction. But recent efforts by schools and advocates around the state could set a new course for this group of students. Treehouse, a nonprofit group dedicated to supporting foster youth in Washington, is expanding its graduation success program beyond King County to include high schools in Spokane and Tacoma. Beginning this fall, Treehouse education specialists will work with foster youth in those schools to help them set goals, monitor their progress, and coach them throughout their schooling. The program, which involves coordination with OSPI and the Department of Social and Health Services, helped raise the graduation rate among foster youth in King County from below 50 percent to 68 percent in four years. Children in foster care were usually removed from their homes for one of three reasons: abuse, neglect or death. As a result, kids in foster care suffer post-traumatic stress disorder at twice the rate of returning combat veterans. "The complex trauma they've experienced really can't be overstated," Lewis says. "Then we send them to school and say, 'OK, learn.'" Many foster youths additionally suffer from chronic medical conditions and mental health disorders, says Sarah Kurtzman, assistant director of communications at Treehouse. They often have special education needs. On top of that, foster youth may move around a lot. On average, a child goes through three different placements, Treehouse estimates. Moving to a new district or new state can put children behind, muck up their high school credits, and disrupt their lives all over again. Additionally, many youths who enter foster care are already behind in school, says Shanna McBride, education program manager at DSHS. Many aren't in the system long enough to fix all the problems, and education is just one facet of a complex life. State legislation from 2008 attempts to make the system more manageable for foster youth and ensure that all the agencies involved, mainly OSPI and the DSHS, work together to support their academic success. For example, DSHS is required to prioritize keeping foster youths in their school of origin. In the right circumstances, the state will pay the cost of transporting students to the same school even after they've moved out of the district. "I know several social workers who get up early in the morning and pick kids up and drop them off at school," Lewis says. To her, the considerations seem like common sense, "but the truth of the matter is it hasn't been that long that we've done that." For many foster youths, the challenges of a disrupted childhood can last a lifetime. Treehouse data show poverty rates for former foster kids are three times the national average. They'll go on to receive public assistance at five times the national average, and are twice as likely to be pregnant by the age of 19. One in five will be homeless for at least one day after aging out of the foster care system. 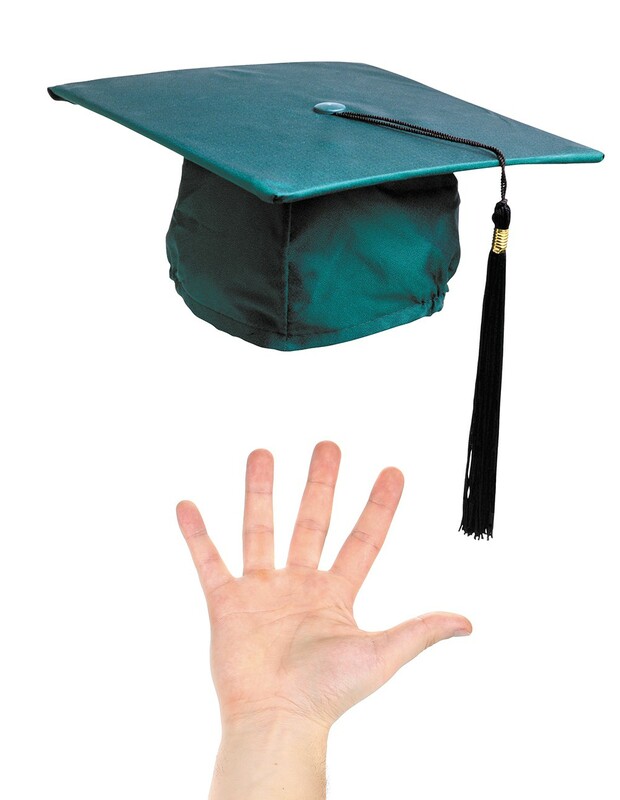 Getting a high school diploma is seen as a key element in changing all that. But schools can't address a problem they can't see, says Lynda Hall, Treehouse's associate director of strategic partnerships. "They are in the system and the school is not aware of it," she says. It's hard to believe, but Fred Schrumpf, director of community partnerships and on-time graduation with Spokane Public Schools, says that foster youth in his schools were invisible until a new deal between DSHS and Spokane schools allowed administrators to access the state reporting database and find their students. "I wish I could define the problem better," Schrumpf says. "Until very recently ... we didn't have these foster kids flagged in our system." He's enthusiastic about the new agreement, which coincides with plans for Treehouse's expansion into Spokane. Specialists will coach students and coordinate with the other adults in their lives who can help them stay on track, cope with trauma and succeed academically. The individual attention will likely be combined with Spokane's existing programs, which helped the overall graduation rate jump from around 60 percent to 85 percent over six years.